Stanley Cup Betting is thrilling! Which team will win this year’s best of 7 game series? Don’t be left behind when the puck drops. Skate over to the sportsbooks below. Many offer Stanley Cup betting sign-up bonuses and specials. Next, review our complete betting guide. We discuss the most popular straight bets, exotics and Stanley Cup props. Put your sportsbook on ice! The following are popular Stanley Cup Betting options. I’ll discuss moneyline, total and puck line bets. Also, how to place Stanley Cup parlays and prop bets. See our comprehensive NHL betting tutorial for more information. Bet on each game’s outright winner. Sportsbooks may have moneyline odds for series winner listed separately. Note, this bet is different than a series prop. It will be offered before game 1 begins. Positive number indicates the underdog. Negative number indicates the favorite. Less Common: Two -110 numbers indicate no specific favorite. This is a PK or pick’em bet. The juice is included in each moneyline. A -120 true odds favorite, plus juice, may cost -130. A +140 true odds underdog, minus juice, might pay +130. That means underdog bettors are rewarded with smaller wins compared to true odds. Favorite bettors must risk more than true odds. Tie games aren’t possible in the NHL due to overtime rules. A tie score during regulation time leads to unlimited 20 minute periods with 5 skaters per team. Play continues until one team scores. There are no shootouts. The final result will determine whether your bet wins or loses. Most sportsbooks display hockey moneylines by default on their odds page. The Washington Capitals are the favorite. The Vegas Golden Knights are the underdog. Washington bettors lay $190 to win $100. Vegas bettors win $170 for risking $100. Result: Vegas wins this game. All underdog bettors win. Sportsbook estimates a point total combining each team’s projected final scores. Players bet whether the result will be over or under this number. Look for the game’s total near or between moneylines and puck lines for each side. NHL totals will frequently be under 10. Sportsbooks provide the total’s juice to the right of the line. One side may have different juice than the other. Sportsbooks abbreviate over as “o” and under as “u”. The more expensive side will be provided. For example, 4½o-118 means anyone betting over 4.5 goals will lay $118 to win $100. -102 is the under juice. Under bettors would lay $102 to win $100. Assume -110 when no number is given. That means juice for both the over and under is -110. Bettors taking either side lay $110 to win $100. The total line is 5½. The under has -114 juice. -106 is the corresponding over value. Over bettors believe the goal total will be greater than 5.5. They lay $106 to win $100. Under bettors believe the goal total will be less than 5.5. They lay $114 to win $100. Result: Final total is 6. This number is more than 5½. That means all over bettors win. Note: No tie bets are possible with a ½ point line. The final result will either be over or under the sportsbook’s line. Tie bets occur when the sportsbook’s line equals the final total. This happens with whole number lines like 5, 6, or 7. Sportsbooks will refund all tie bets. Bet is made on the expected score difference, just like a spread. Most NHL puck lines are 1½. Occasionally some will be 2½. A 1½ line rounds up to 2. Favorites must win by 2 or more goals. A 1½ line rounds down to 1. Underdogs must not lose by more than 1 or win outright. Each side has moneyline odds. The most likely, or favorite line, will be negative. The less likely, or underdog line, will be positive. Determine the favorite and underdog. The favorite’s 1½ spread will be negative. The underdog’s 1½ spread will be positive. Moneylines indicate the likelihood each team will cover the spread. The underdog will have a negative moneyline because it is more likely this team will win or only lose by 1. You’ll win less than you risk. The favorite will have a positive moneyline because it is less likely this team will win by 2 or more goals. You’ll win more than you risk. Capitals are the puck line favorite. They must win by 2 or more goals. 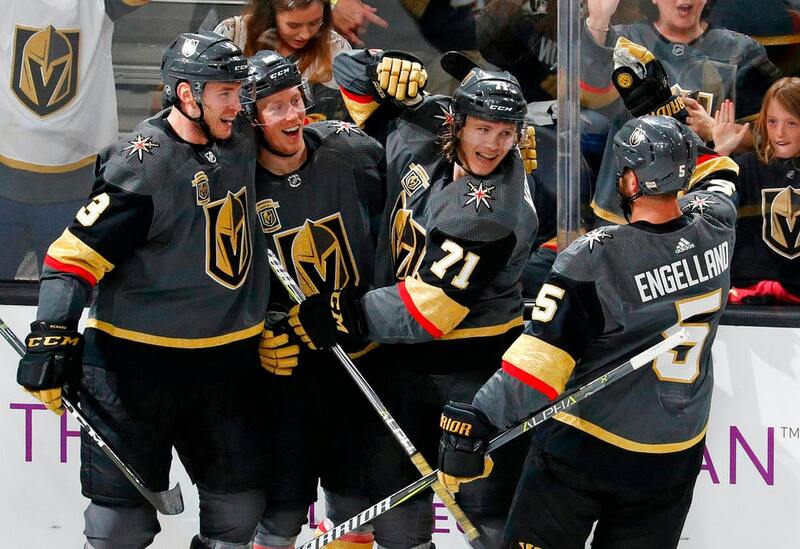 Golden Knights are the underdog. They must not lose by more than 1 or can win outright. The Capitals are less likely to win by 2. Their moneyline is positive. A $100 bet wins $180. The Golden Knights are more likely to lose by 1 or win outright. Their moneyline is negative. A $170 bet wins $100. Puck lines can offer higher expected value than a moneyline. Compare the above example to a fictional -190 moneyline for favorite Washington. You would lay $190 to win $100. If you think Washington will easily win by 2, you could take the puck line instead. You would lay $100 to win $180. You risk less for a much higher reward. Try out these exhilarating exotic bets. Props and parlays will both add some spice to your Stanley Cup betting experience. We recommend making small prop bets unless you’re confident about the outcome. Consult our NHL betting tutorial for more information. Sportsbooks offers odds on various events related to the Stanley Cup playoffs. Bettor decides whether an event will occur, in what quantity or both. Prop bets are considered side bets. They’re not dependent on the game’s final outcome. Postseason play and the Stanley Cup finals will offer the most prop betting opportunities. Conference championships may also get props. Sportsbooks will begin posting props up to 10 days before major competitions begin. Monitor your sportbook’s wagering menu regularly. 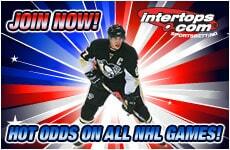 Visit sportsbook’s NHL odds page. Select “Props” or “Specials”. Most props are announced before championship events. Others will be available throughout the season. Each prop has moneyline odds. Sports props win or lose after applicable game, season or playoff has concluded. Note: Some props cannot be added to parlays. Check which props are eligible first. Bets will be graded “no action” if the prop cannot be resolved. This commonly happens when a player with a game point total gets injured before face off. Or, some other intervening event disrupts the prop bet entirely (natural disaster, scheduling change, etc). Which Stanley Cup finalist will win the coin toss? Will the Stanley Cup be won in 4 games? Will either team score in the first 10 minutes of Game 3? Will Game 3 go to overtime? Prop bets are usually just for fun. Some knowledgeable sports handicappers can do very well with considerable research and a little luck. Combine 2 or more moneyline, puck line or total selections. Parlay wins if all selections win. Parlay loses if any selection loses. Each tie reduces the total number of selections by one. Therefore, a 3 team parlay with 1 tie becomes a 2 team parlay. An 4 selection parlay with 2 ties becomes a 2 selection parlay. Your actual payout will correspond to the adjusted parlay size. Select 2-15 moneylines, puck lines, totals, eligible props, or combinations of all four. Include matchups from other sports like basketball, soccer or baseball. All selections must be correct to win. Each tie reduces parlay size by 1 selection. Review your sportsbook’s parlay rules carefully. Learn more about parlays with our infographic here. A complete text tutorial follows the infographic. It explains the parlay bet from top to bottom.